Last weekend at Comic Con, the folks behind the Warcraft movie showed off a bunch of footage that was meant to be exclusive to the show. As was inevitable, it’s leaked. Watch this leaked version quick, before Legendary tries to take it down. Here’s hoping they realize that trying to keep this stuff secret is nonsense and just release an HD version on YouTube. 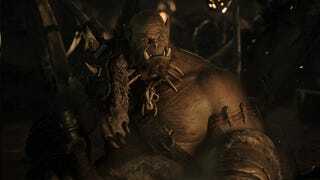 The Warcraft movie is currently slated for June 2016. It’s based on the first game in Blizzard’s iconic series although it will undoubtedly be packed full of references to World of Warcraft and other entries.